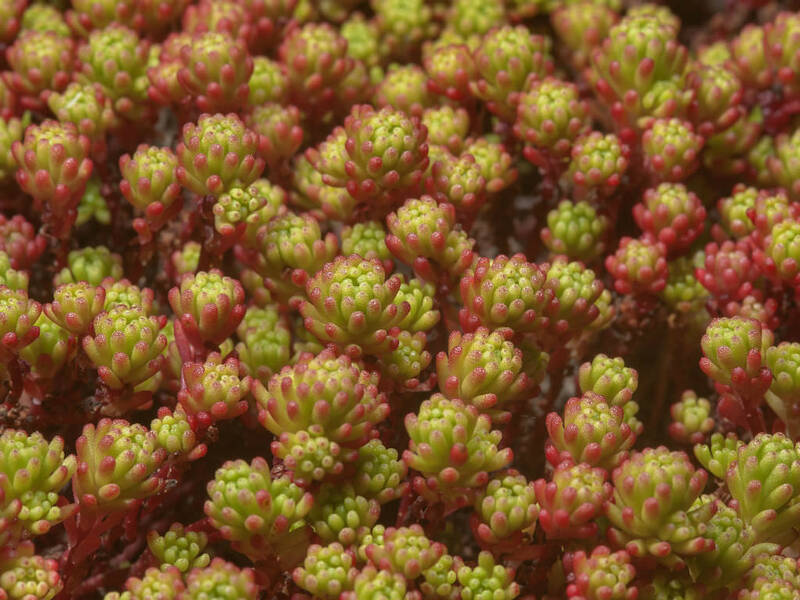 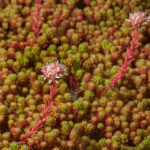 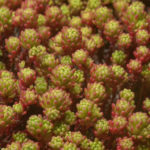 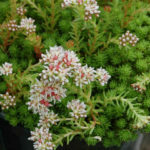 Sedum lydium is a classic groundcover up to 4 inches (10 cm), with succulent, evergreen leaves up to 0.2 inch (5 mm) long. 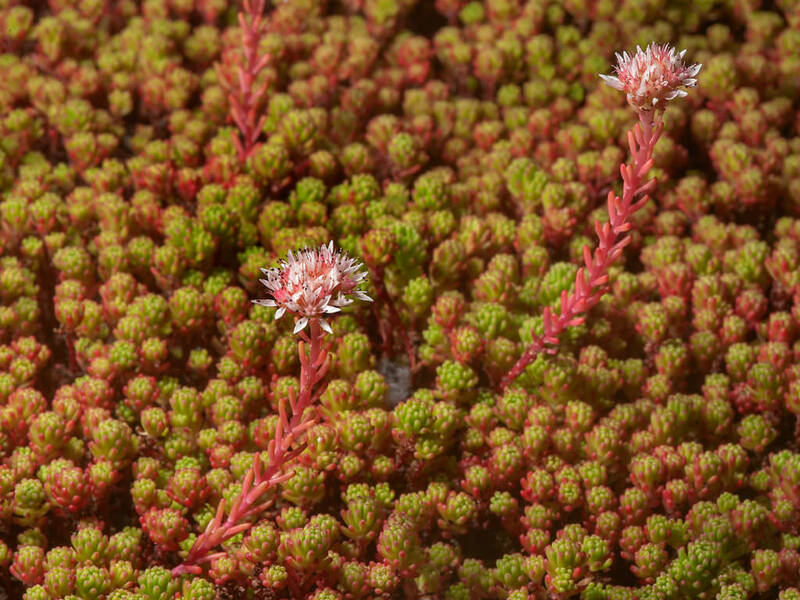 The leaves turn completely red in a drought and during the fall and winter. 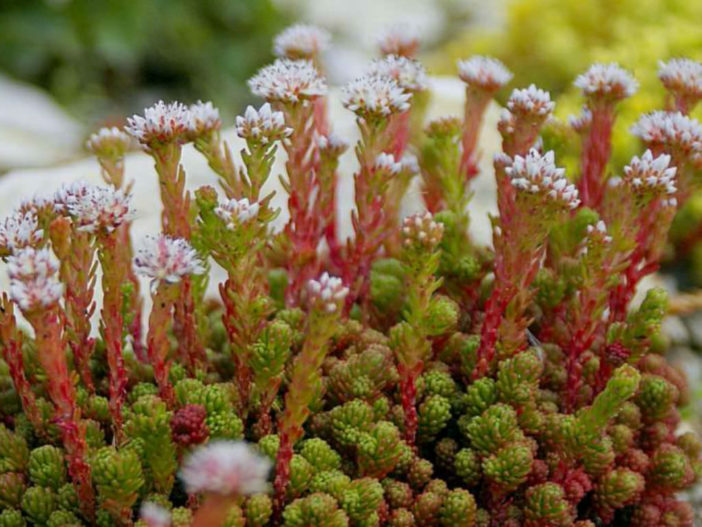 Clusters of white flowers appear in early summer. 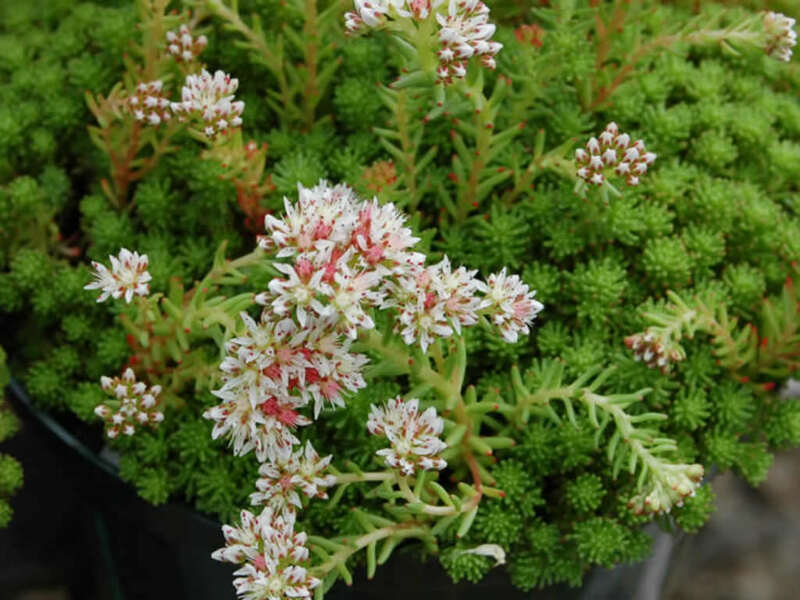 Native to Turkey and western Asia.